"The best serving the best." The hallmark of Red Carpet Limousine is service beyond what is expected with commitment to understanding and anticipating the needs of our clients. We specialize in complete customer satisfaction from our new, clean, daily inspected vehicles, professionally-trained chauffeurs and on-time pickups to our cutting-edge reservations, dispatch and accounting technology developed by Livery Coach Software. Our Mission is to provide the finest level of service available to you. Centrally located at Santa Monica municipal airport, just 15 minutes from Downtown, Los Angeles International Airport, Red Carpet Limousine and its professional staff cater to business professionals, travelers and individual clients. We are here for you 24 hours a day, 7 days per week, 365 days a year. Unlike other companies RCL does not have any hidden charges or minimum hourly charges. Our staff specializes in ASAP reservations and last minute changes. 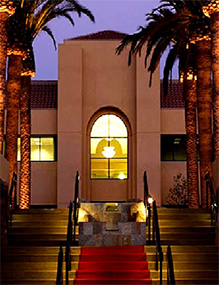 Safe and affordable transportation throughout Southern California. 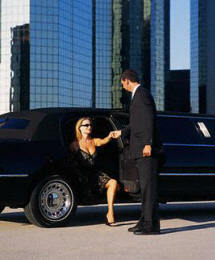 Try Red Carpet Limousine for all your ground transportation needs.